You'll enjoy a bit of beach vacationing at Praia de Tamandare and Vila de Porto de Galinhas Beach. Oficina Ceramica Francisco Brennand and Paco do Frevo will appeal to museum buffs. Explore the numerous day-trip ideas around Recife: Olinda (Church and Monastery of Sao Bento & Se Cathedral), Praia de Calhetas (in Cabo de Santo Agostinho) and Porto de Galinhas (Muro Alto Beach & Scuba & Snorkeling). Next up on the itinerary: get to know the fascinating history of Centro Historico and see the interesting displays at Museu Cais do Sertao. To find maps, ratings, other places to visit, and more tourist information, go to the Recife vacation builder website . Curitiba to Recife is an approximately 4.5-hour flight. You can also drive; or take a bus. In May, Recife is somewhat warmer than Curitiba - with highs of 34°C and lows of 27°C. Finish up your sightseeing early on the 28th (Tue) so you can go by car to Joao Pessoa. Get a sense of the local culture at Igreja Sao Francisco and Popular Artist House. Visit Nossa Senhora do Carmo Church and Paroquia Santo Antonio de Lisboa for their historical value. 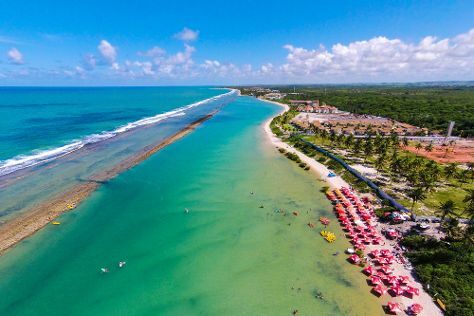 You'll find plenty of places to visit near Joao Pessoa: Conde (Praia de Tambaba & Tabatinga Beach) and Baia da Traicao (Camurupim Beach & Das Trincheiras Beach (Prainha)). And it doesn't end there: enjoy the sand and surf at Picaozinho, tour the pleasant surroundings at Camboinha Beach, and see the interesting displays at Convent of Santo Antonio Religious Arts Museum. For maps, reviews, and more tourist information, go to the Joao Pessoa trip itinerary planner. You can drive from Recife to Joao Pessoa in 2 hours. Other options are to fly; or take a bus. In May, daily temperatures in Joao Pessoa can reach 34°C, while at night they dip to 26°C. Finish up your sightseeing early on the 3rd (Mon) so you can go by car to Campina Grande. Arguably northeastern Brazil’s most important city, Campina Grande represents a thriving hub of industry, technology, and education. You'll explore and learn at Casa de Margarida Maria Alves Museum and Paraiba Marsh Museum. Popular historic sites such as Igreja Matriz Sagrado Coracao de Jesus and Engenho Triunfo are in your itinerary. Get out of town with these interesting Campina Grande side-trips: Areia (Casa de Pedro Americo Museum & Regional de Areia Museum), Jackson do Pandeiro Memorial (in Alagoa Grande) and Engenho Martiniano (in Serraria). There's much more to do: examine the collection at Sitio Sao Joao, get into the urban bustle at People Park, look for gifts at Vila do Artesao, and admire the masterpieces at Museu de Artes Sacras Fernando Cunha Lima. To find more things to do, maps, where to stay, and tourist information, refer to the Campina Grande trip planner. Getting from Joao Pessoa to Campina Grande by car takes about 2 hours. Other options: take a bus. June in Campina Grande sees daily highs of 32°C and lows of 22°C at night. Finish your sightseeing early on the 8th (Sat) so you can travel to Maceio. Usina Ciencia - UFAL and Pinacoteca Universitaria - UFAL will appeal to museum buffs. Visit Cathedral Metropolitana of Maceio and Bom Jesus Church Of Martyrs for their historical value. Change things up with these side-trips from Maceio: Gunga Beach (in Roteiro), Barra de Sao Miguel Beach (in Barra de Sao Miguel) and Praia de Sonho Verde (in Paripueira). Next up on the itinerary: kick back and relax at Japaratinga Beach, stroll through Carro Quebrado Beach, see the interesting displays at Casa da Palavra Museum, and admire the masterpieces at Museu de Arte Pierre Chalita. Plan trip to Maceio with our itinerary maker to find out where to go and what to do. You can fly from Campina Grande to Maceio in 4.5 hours. Other options are to drive; or take a bus. 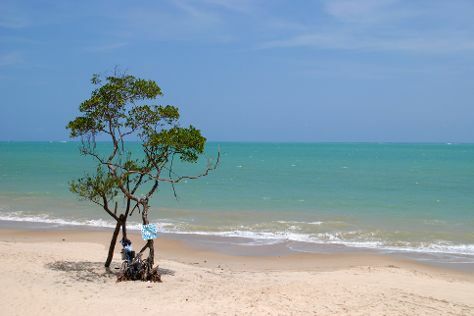 In June, daytime highs in Maceio are 32°C, while nighttime lows are 23°C. Finish your sightseeing early on the 15th (Sat) to allow enough time to travel back home.